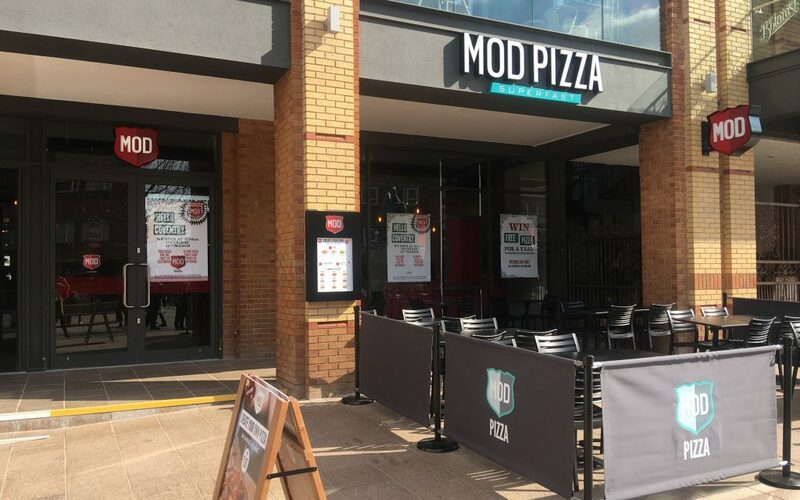 MOD Pizza have opened a new restaurant in Coventry city centre, located near the Godiva statue in a newly refurbished shopping mall. As this one is almost on our doorstep we couldn’t resist a visit to the grand opening: the enthusiastic and welcoming staff served up our individualised pizzas (that were swiftly enjoyed by our team). With the fun bespoke artwork and comfortable seating it made for a great experience.